KARIYA (Japan) ― DENSO Corporation today announced that it will change its organization and Executive Responsibility on January 1, 2019. To accelerate development from the viewpoint of vehicle systems in automated driving and connected driving, the Mobility Systems Function Unit will be reorganized, and the Mobility Systems Planning Div., in charge of business strategy and the Mobility Systems R&D Div., in charge of technology development will be newly established. To strengthen the connected service business for fleet vehicles, DENSO’s service business for trucks, buses, and leased vehicles will be integrated with DENSO TEN’s service business for commercial vehicles, mainly taxis, to expand the business by combining the strengths and expertise of the two companies. Thus, the business of the Connected Service Business Promotion Div. will be integrated with DENSO TEN. ① To meet customers’ needs flexibly and promptly, the Thermal Systems Product Planning Div. will be newly established. ② To strengthen the thermal management business that is essential for promoting electrification, the thermal management products will be consolidated, and the Thermal Management Business Unit will be newly established. Diesel engine regulations have been tightened in respective countries, and needs for powertrains have been diversifying in different countries and regions. To meet customers’ needs for internal combustion engines more precisely, the Powertrain Systems Business Group will be reorganized. To consolidate the sales functions distributed for each country and route and to strengthen the capability to propose products, the CV&OH Div., will be newly established to undertake the commercial vehicle and agriculture and construction equipment business. To create new businesses for solving social issues and define the role of the organization to incubate projects to a business phase, the New Business Unit will be renamed the Social Solution Business Development Div. To promptly cope with changes in specialized fields due to business innovation, DENSO E&TS Training Center Corp. will be subject to an absorption-type merger. The manufacturing and technology section will also be consolidated, and the Core Skills Development Div. will be newly established. To further strengthen the information security organization including the group companies in and outside Japan, the Information Security Promotion Dept. will be upgraded to the Information Security Promotion Div. SOKEN,INC. Overall Management, R&D Strategy, CISO(Chief Information Security Officer), Purchasing, Information Security Promotion Dept., SOKEN,INC. Yuji Ishizuka Sales Planning Dept. DENSO E&TS TRAINING CENTER CORP.
Powertrain Systems Business Planning Dept. Engine Components Business Unit, Powertrain Systems Business Planning Dept. KARIYA (Japan) ―DENSO Corporation today announced management changes, which were approved at today’s board of directors meeting. (1)Toshiyuki Kato will be appointed to executive vice president. Currently he is a senior executive director. Koichi Nagaya, currently director, Quality Control Div. Hirotaka Yato, currently project director, Corporate Planning Div. Kazuhiro Iwai, currently general manager, Secretarial Dept. Seiji Maeda, currently director, Corporate Planning Div. (4)Norio Fujimori will be appointed to executive fellow. Currently he is deputy head of ICT Business Unit. (6) Hiroyuki Murayama will resign as executive fellow. Overall Management, Safety, Quality, Production, Corporate Foundation Center, DENSO ABASHIRI TEST CENTER CORP. Overall Management, R&D Strategy, CISO(Chief Information Security Officer), Purchasing, Information Security Promotion Dept., SOKEN,INC. Corporate Center, Information Systems Div., EDT Promotion Div., Audit Dept. Advanced Mobility Systems R&D Div., Mechanical & Energy Eng. R&D Div., Advanced Testing＆Evaluation Div. Global Strategy Center, Finance & Accounting Div., Work Style Reforms Dept. Powertrain Systems Business Planning Dept. New Business Unit, AgTech Promotion Div. (3)Motomi Niwa will be appointed as member of the Audit & Supervisory Board. (4)Masato Iwase will resign as member of the Audit & Supervisory Board. KARIYA (Japan) DENSO Corporation today announced its new management structure and management changes. 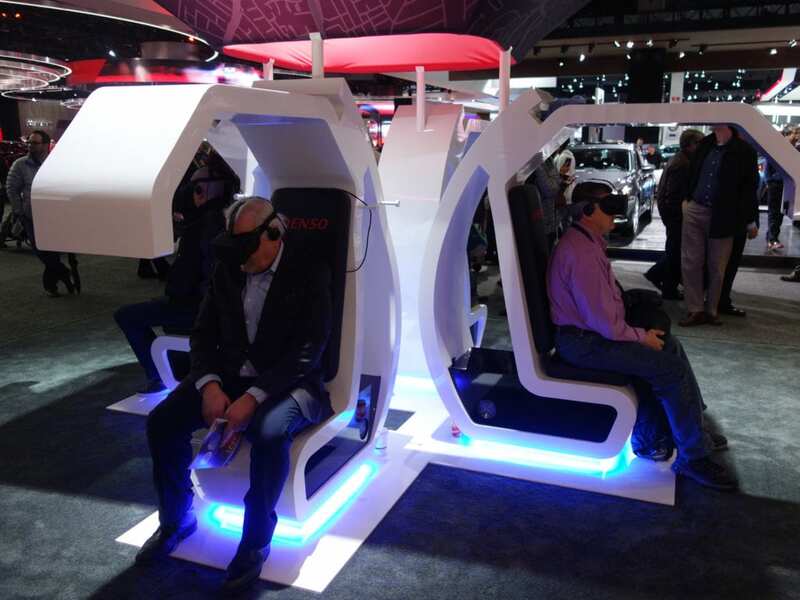 The new structure will help DENSO advance in areas the automotive industry is quickly progressing in, such as electrification, automated driving, connected vehicles, car sharing and the Internet of Things (IoT). 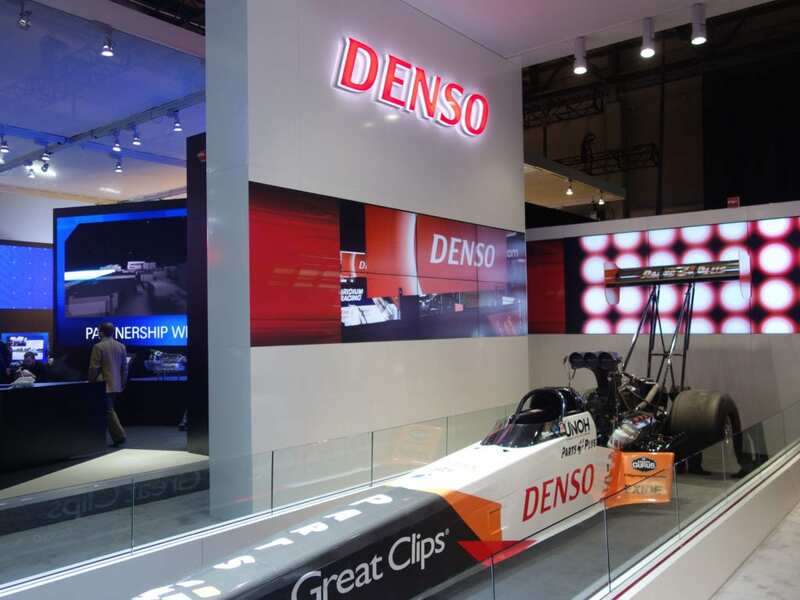 DENSO will reduce its number of members on the Board of Directors. Board of Directors will include representatives, outside directors, and executives who is in charge of corporate planning. The new structure will streamline decision making and execution, create a separation between Management and Execution, and help engaging company-wide strategy discussions at Board of Directors meetings. In addition, DENSO will change the timing of senior executive directors and executive director promotions to April. Hiroyuki Wakabayashi will be appointed to executive vice president and member of the Board. Currently he is the senior executive director and member of the Board. Masahiko Miyaki will resign as executive vice president. Tomoyuki Arakawa, currently General Manager, Aftermarket, Fleet & New Business Group Business Planning Dept. Kazuoki Matsugatani, currently Director, ADAS Business & Technology Development Div. Katsuhiko Sugito, currently Director, Machinery & Tools Div. Satoshi Iwata will resign as senior executive director. Future Creation Technology, NIPPON SOKEN, INC.
DENSO ABASHIRI TEST CENTER CORP.
Toyota Sales Div., Osaka Sales Div. Purchasing Group, Information Systems Div., EDT Promotion Div. Aftermarket Unit, Connected Service Business Promotion Div., Customer Service Div. Chubu Sales Div., Hiroshima Sales Div. Advanced Safety Business Unit, Electronic Control Components Div. Corporate Planning Div., Finance & Accounting Div., Global Strategy Dept., Cost Management Dept. Strategic Production Planning Div., Production Control Div., Logistics Planning Div., Facility Div., DENSO E&TS TRAINING CENTER CORP. Basis Electronic Technology Unit, Electronics Business Unit, DENSO CREATE INC.
Noriyuki Matsushima will be appointed as member of the Audit & Supervisory Board. Tsutomu Saito will resign as member of the Audit & Supervisory Board. 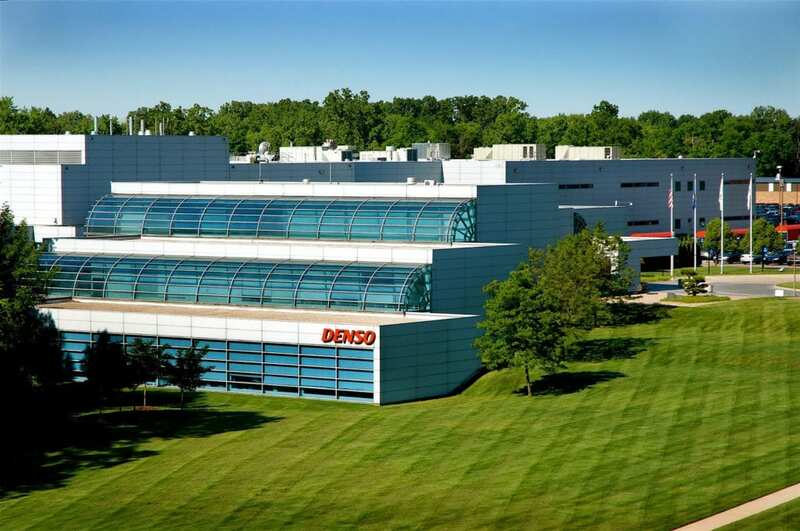 SOUTHFIELD, Mich. – As global automotive supplier DENSO continues to expand its footprint in North America, the company is committed to regional and global leadership development. DENSO is pleased to announce the following management and organizational changes across North America, effective January 1, 2017. Bill Foy was named senior vice president of Engineering. Located in Southfield, Mich., Foy is responsible for overseeing all North American product engineering and development, including climate control, engine components and systems, engine electrical, safety products, cluster, in-vehicle-infotainment, body electronics and small motor engineering. Previously, he served as senior vice president of the Sales & Marketing Division. Doug Patton will continue his role as executive vice president of Engineering and chief technology officer. In 2017, he assumes the role of SAE International president. This change will allow him to focus on his role as SAE International president, as well as help broaden the scope of DENSO’s executive team. Denise Carlson was promoted to vice president of the North America Planning and Material Engineering, Production Innovation Center. 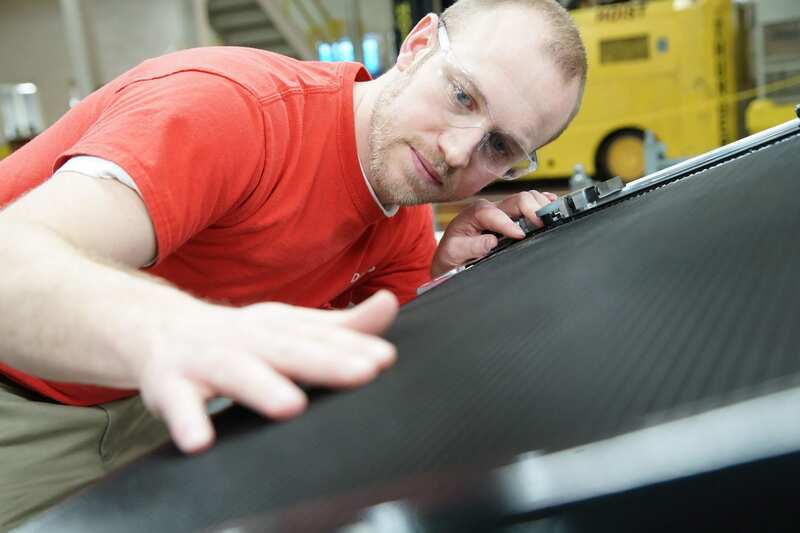 Located in Southfield, Mich., Carlson is responsible for overseeing Material Development, Material Quality Assurance, and Material Education for DENSO’s North American product groups. Kara Grasso was promoted to vice president of Fiat Chrysler Automobiles (FCA) Sales group, located at DENSO’s Southfield, Mich. facility. She oversees FCA Sales strategy and activities in all key product areas. She was also appointed to lead DENSO’s Product Sales Strategy. Previously, she was director of FCA Sales. Benjamin Luppino will serve as vice president of Toyota Sales Group, located at DENSO’s Southfield, Mich. facility. His primary responsibility is guiding the operational and personnel activities for the Toyota Motors Sales group, including overall sales expansion. Previously, he served as vice president and global lead of the General Motors Sales Group. Rob Hempel will serve as vice president of General Motors Sales Group, located at DENSO’s Southfield, Mich. facility. His primary responsibility is guiding the operational and personnel activities for the General Motors Sales group, including overall sales expansion. Previously he served as global lead for Toyota Sales. Chuntao Ye was promoted to senior vice president. Ye is responsible for Instrument Cluster, Electronics, and Body Electronics plants located in Maryville, Tenn. He also serves as Deputy Leader of Information & Safety Systems. Previously, he served as vice president of DENSO’s Alternator/Starter Division in Maryville. DENSO’s North American aftermarket group supplies parts for original equipment service dealers, independent aftermarket service centers and retailers. In addition, the company distributes heavy-duty diesel and electrical components, portable commercial air-conditioning units and industrial robots. The company employs approximately 500 people in Long Beach and Murrieta, California. The company’s product line includes heavy-duty and automotive alternators, starters, oil, cabin and air filters, spark plugs, AC compressors, oxygen sensors, ignition wires, fuel pumps, fuel injectors and wiper blades. For more information, go to www.densoautoparts.com. Connect with DENSO Auto Parts on Facebook at https://www.facebook.com/densoautoparts/. SOUTHFIELD, Mich. – DENSO announced today the following executive management changes. These changes will be effective after the 93th Annual General Meeting of Shareholders at DENSO’s global headquarters on June 21, 2016 . Kenichiro “Ken” Ito will serve as chairman of DENSO’s North American Board of Directors and chairman and chief executive officer (CEO) of DENSO International America, Inc., DENSO’s North American corporate headquarters. Located in Southfield, Michigan, Ito will oversee all North American group companies and affiliates. He will be responsible for strengthening our One DENSO approach to business and the DENSO brand in North America. Previously, he served as executive director of the Corporate Planning, Finance & Accounting Division and Business Innovation Department at DENSO Corporation in Japan. Ito will assume the position from Sadahiro “Sam” Usui who will serve as CEO of DENSO International Europe B.V.
Hisaaki Sato will serve as president and chief operating officer of DENSO International America, Inc., responsible for overseeing all aspects of business related to OEM customers for DENSO in the Americas. Previously, he served as executive director of Global Sales & Business Development, Global Business Planning, Chubu Sales and Hiroshima Sales divisions at DENSO Corporation. Sato will assume the position from Kazumasa “Kaz” Kimura who will serve as executive director of Global Sales & Business Development, Global Business Planning, Chubu Sales and Hiroshima Sales divisions. Satoshi “Scott” Inukai will be promoted to senior director of Global DENSO. Inukai will serve as chief manufacturing officer (CMO) of DENSO International America, Inc., responsible for overseeing all aspects of manufacturing in North America in addition to the lead of North America Production Innovation Center. KARIYA (Japan) DENSO Corporation today announced management changes, which were approved at today’s board of directors meeting. Changes will take place after the 93th Annual General Meeting of Shareholders on June 21, 2016. DENSO (CHINA) INVESTMENT CO., LTD.
DENSO Corporation has named George Harguess president of its DENSO Manufacturing Arkansas, Inc. (DMAR) operations in Osceola, Ark., effective July 1. Osceola, Ark. – DENSO Corporation has named George Harguess president of its DENSO Manufacturing Arkansas, Inc. (DMAR) operations in Osceola, Ark., effective July 1. Harguess succeeds Andris Staltmanis, who was recently named president of DENSO Manufacturing Michigan, Inc. in Battle Creek, Mich.
Mostly recently, Harguess served as DMAR plant director, directly responsible for manufacturing, production control and maintenance as well as oversight for daily operations at the facility. Harguess joined DMAR as the operations assistant general manager in 2008 and was promoted to plant director in 2012. Harguess joined DENSO in 1991 as a team leader at DENSO Manufacturing Tennessee (DMTN) in Maryville, Tenn. In 1995, Harguess was promoted to supervisor then assistant manager of starter production. From 2000-2003, Harguess served as starter manager, followed by five years as senior manager of DMTN’s starter and alternator plants. Company Profile: DENSO MANUFACTURING ARKANSAS, INC.
DENSO Manufacturing Arkansas (DMAR) produces HVAC assemblies and Engine Cooling Modules (ECM) for its North American customers. With 224,000 square feet of manufacturing space, the facility employs more than 450 people. 100 percent DENSO International America, Inc.
DENSO Corporation today announced management changes, which were approved at today’s shareholders meeting and board of directors meeting. These changes are effective today. KARIYA (Japan) –DENSO Corporation today announced management changes, which were approved at today’s shareholders meeting and board of directors meeting. These changes are effective today. DENSO Corporation, headquartered in Kariya, Aichi prefecture, Japan, is a leading global automotive supplier of advanced technology, systems and components in the areas of thermal, powertrain control, electronics and information and safety. Its customers include all the world’s major carmakers. Worldwide, the company has more than 200 subsidiaries and affiliates in 38 countries and regions (including Japan) and employs more than 140,000 people. Consolidated global sales for the fiscal year ending March 31, 2015, totaled US$35.9 billion. Last fiscal year, DENSO spent 9.0 percent of its global consolidated sales on research and development. DENSO common stock is traded on the Tokyo and Nagoya stock exchanges. • Sadahiro Usul DENSO INTERNATIONAL AMERICA, INC.
• Yukihiko Murakami DENSO (CHINA) INVESTMENT CO., LTD.
Masanari Murakami TIANJIN DENSO ELECTRONICS CO., LTD.
Kazumasa Kimura DENSO INTERNATIONAL AMERICA, INC.
Yasuhiro Iida DENSO INTERNATIONAL ASIA CO., LTD., DENSO (THAILAND) CO., LTD.
Yoshitaka Kajita DENSO INTERNATIONAL INDIA PVT., LTD.
Jiro Ebihara DENSO MANUFACTURING HUNGARY, LTD.
Jack Helmboldt DENSO MANUFACTURING TENNESSEE, INC.
• Masato Nakagawa DENSO INTERNATIONAL EUROPE B.V.
DENSO Corporation has named Takeshi Nagasaka president of its DENSO Manufacturing Athens Tennessee, Inc. (DMAT) operations in Athens, Tenn.
ATHENS, Tenn. – DENSO Corporation has named Takeshi Nagasaka president of its DENSO Manufacturing Athens Tennessee, Inc. (DMAT) operations in Athens, Tenn., effective June 1. Nagasaka succeeds Youichi Yamashita, who returned to Japan to serve at DENSO Trim, a Power Train affiliate. Nagasaka joined DENSO Corp. in Japan in 1982 and began his career in the production engineering division as a production engineer. In 1990, Nagasaka moved to the Gasoline Injection Manufacturing Division as supervisor. At that time, he was in charge of fuel pump production engineering for Associated Fuel Pump Systems Corporation (AFCO) and DNJP. In 1996, Nagasaka took an overseas assignment to serve as a manager at AFCO in Anderson, South Carolina. He then returned to DNJP as the manager of the Gasoline Injection Manufacturing Division. In 2003, Nagasaka was named general manager of the Gasoline Injection Manufacturing Division, and in 2010 he was promoted to director of the same division. In 2015, he was named president of DENSO Manufacturing Athens Tennessee. DENSO Corporation, headquartered in Kariya, Aichi prefecture, Japan, is a leading global automotive supplier of advanced technology, systems and components in the areas of thermal, powertrain control, electronics and information and safety. Its customers include all the world’s major carmakers. Worldwide, the company has more than 200 subsidiaries and affiliates in 36 countries and regions (including Japan) and employs more than 130,000 people. Consolidated global sales for the fiscal year ending March 31, 2013, totaled US$38.1 billion. Last fiscal year, DENSO spent 9.4 percent of its global consolidated sales on research and development. DENSO common stock is traded on the Tokyo and Nagoya stock exchanges. For more information, go to www.globaldenso.com, or visit our media website at www.densomediacenter.com. In North America, DENSO employs more than 17,000 people at 32 consolidated companies and affiliates. Of these, 22 are manufacturing facilities located in the U.S., Canada and Mexico. In the U.S. alone, DENSO employs more than 10,000 people in California, Michigan, North Carolina, South Carolina, Tennessee, Kentucky, Georgia, Iowa, Ohio, and Arkansas. DENSO’s North American consolidated sales totaled US$6.8 billion for the fiscal year ending March 31, 2013. KARIYA (Japan) – DENSO Corporation today announced changes to its board of directors and executive directors. Changes will take place after the 92th Annual General Meeting of Shareholders on June 19, 2015. DENSO Corporation, headquartered in Kariya, Aichi prefecture, Japan, is a leading global automotive supplier of advanced technology, systems and components in the areas of thermal, powertrain control, electronics and information and safety. Its customers include all the world’s major carmakers. 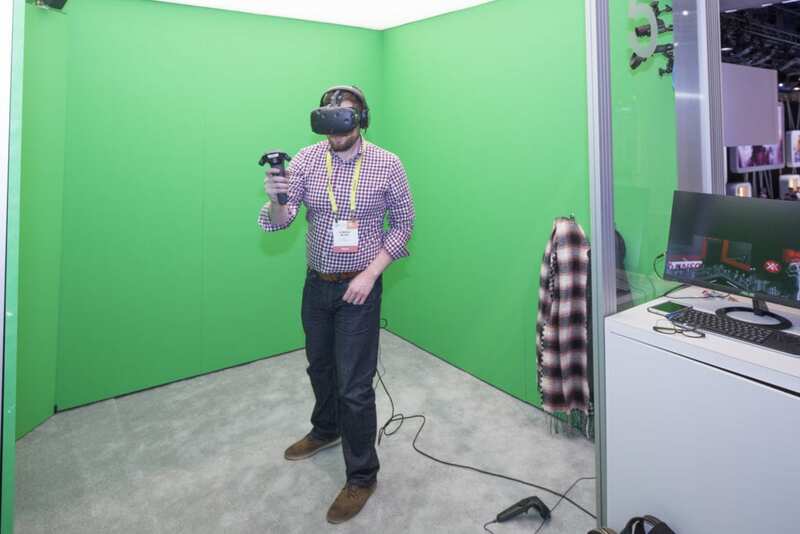 Worldwide, the company has more than 200 subsidiaries and affiliates in 38 countries and regions (including Japan) and employs nearly 140,000 people. DENSO common stock is traded on the Tokyo and Nagoya stock exchanges. For more information, go to www.globaldenso.com, or visit our media website at www.densomediacenter.com. SOUTHFIELD, Mich. – Global automotive supplier DENSO is pleased to announce changes to its North American executive management team. These changes support DENSO’s expansion and growth in the North American region. Stephen Milam was promoted to chief operating officer of DENSO Thermal Systems North American Center (TAC) Business Group, leading TAC in the region. Milam will also continue to serve as president of DENSO Manufacturing Canada, Inc.
Andris Staltmanis was promoted to president of DENSO Manufacturing Michigan, Inc. (DMMI). In his new role, Staltmanis will oversee DMMI operations, as well as lead TAC manufacturing activities. In addition, Staltmanis will continue to serve as president of DENSO Manufacturing Arkansas and vice president of DMMI’s Heating, Ventilation and Air Conditioning (HVAC) plant. Michael Winkler was promoted to vice president of DENSO’s North America Purchasing Group, responsible for overseeing regional sourcing strategy to support the growth of DENSO in North America and enhance supplier relationships. In addition, Winkler will now serve as executive coordinator of TAC Purchasing, responsible for daily operations and management of DENSO’s thermal purchasing groups. Winkler will manage annual cost reduction activities, procurement of equipment and machinery and purchasing planning. Previously, Winkler served as deputy functional leader of TAC, responsible for purchasing activities at all thermal plants in North America. Atsushi Uchida was promoted to vice president of TAC Purchasing and Purchasing functional leader, responsible for supporting TAC daily purchasing operations and management. Previously, he served as executive coordinator of TAC Purchasing. Martin Deschenes was promoted to vice president of Electronic Products and Body Electronics Divisions at DENSO Manufacturing Tennessee (DMTN), responsible for strategy development and execution for electronics manufacturing operations. In addition, Deschenes serves as the North American Information and Safety Business Team manufacturing leader, responsible for creating electronics manufacturing expansion strategy for the region. Previously, he served as director of the Electronics Products Division at DMTN. DENSO Corp., headquartered in Kariya, Aichi prefecture, Japan, is a leading global automotive supplier of advanced technology, systems and components in the areas of thermal, powertrain control, electronics and information and safety. Its customers include all the world’s major carmakers. Worldwide, the company has more than 200 subsidiaries and affiliates in 38 countries and regions and employs nearly 140,000 people. Consolidated global sales for the fiscal year ending March 31, 2014, totaled US$39.8 billion. Last fiscal year, DENSO spent 9 percent of its global consolidated sales on research and development. DENSO common stock is traded on the Tokyo and Nagoya stock exchanges. For more information, go to www.globaldenso.com, or visit our media website at www.densomediacenter.com. KARIYA (Japan) – DENSO Corp. today announced plans to elect Koji Arima as new president and CEO after the annual shareholders meeting in June. Current President and CEO Nobuaki Katoh will be promoted to chairman. Arima joined DENSO in 1981, after earning a bachelor’s degree in Engineering from Kyoto University in Kyoto, Japan. He currently serves as senior executive director of DENSO’s Manufacturing Innovation Center. Before assuming leadership of the Manufacturing Innovation Center, Arima’s assignments included serving as president of DENSO Manufacturing Italia and as executive director of DENSO’s Engine Electrical Systems Business Unit. Additional overseas experience included a stint at DENSO Manufacturing Tennessee in Maryville, Tennessee. Katoh has served as DENSO’s president and CEO since June 2008. Katoh led DENSO through the economic recession that followed the Lehman Brothers bankruptcy and the instability caused by the Great East Japan Earthquake, focusing on sustainable growth and increasing localization. DENSO Corp., headquartered in Kariya, Aichi prefecture, Japan, is a leading global automotive supplier of advanced technology, systems and components in the areas of thermal, powertrain control, electronics and information and safety. Its customers include all the world’s major carmakers. Worldwide, the company has more than 200 subsidiaries and affiliates in 38 countries and regions and employs nearly 140,000 people. Consolidated global sales for the fiscal year ending March 31, 2014, totaled US$39.8 billion. Last fiscal year, DENSO spent 9.0 percent of its global consolidated sales on research and development. DENSO common stock is traded on the Tokyo and Nagoya stock exchanges. For more information, go to www.globaldenso.com, or visit our media website at www.densomediacenter.com. Mike Brackett, senior vice president of Corporate Services at DENSO Manufacturing Tennessee has assumed the roles of vice president of North American Corporate Planning and vice president of North American Human Resources at DENSO International America, Inc. In these roles, Brackett will be working at both DENSO Manufacturing Tennessee in Maryville, Tennessee, and DENSO International America, in Southfield. He is responsible for strengthening the competitiveness of North American business operations, as well as establishing the direction for human resources within the region. Dave Grimmer, vice president of DENSO Manufacturing Michigan, Inc., also will now serve as a lead for North American Production and Promotions Center at DENSO International America, Inc. in Southfield. Grimmer will manage North American core projects and support plants in order to strengthen DENSO’s manufacturing foundation. Steve Milam was appointed president of DENSO Manufacturing Canada, Inc., and vice president of Business Planning and Accounting for DENSO’s Thermal Americas Center. In this dual role, Milam will seek to achieve extreme efficiency at DENSO Manufacturing Canada through implementation of lean principles. Roger Berg has assumed additional responsibility as vice president of North American Research and Development at DENSO International America’s Silicon Valley, California office. Complementing work being done at its North America Research and Development center in Vista, California, he will now also lead the development of new product ideas for non-automotive, aftermarket, light vehicle and heavy duty business. Previously, Berg served as vice president of Wireless Technologies. Tom Esser was promoted to vice president of Ford Global Sales at DENSO International America. Located in Southfield, he is responsible for overseeing global sales and marketing activities, including sales expansion and management of the group. Previously, Esser served as director of Ford Global Sales. Dr. Gary Horvat has joined DENSO International America, Inc., in Southfield, as vice president of Powertrain and Electrical Hardware and Systems. In this role, he is responsible for the design, development and application of powertrain products for North American automotive customers. DENSO Corporation, headquartered in Kariya, Aichi prefecture, Japan, is a leading global automotive supplier of advanced technology, systems and components in the areas of thermal, powertrain control, electronics and information and safety. Its customers include all the world’s major carmakers. Worldwide, the company has more than 200 subsidiaries and affiliates in 38 countries and regions (including Japan) and employs nearly 140,000 people. Consolidated global sales for the fiscal year ending March 31, 2014, totaled US$39.8 billion. Last fiscal year, DENSO spent 9.0 percent of its global consolidated sales on research and development. DENSO common stock is traded on the Tokyo and Nagoya stock exchanges. BATTLE CREEK, Mich. – DENSO Air Systems Michigan, Inc. (ASMI) announced today the retirement of the company’s president, Jerry McGuire on April 30. As part of the leadership transition, Kazunori Kobayashi has been appointed president, and Kevin Carson has been appointed to senior vice president, responsible for the facility’s overall daily operations at both ASMI and DENSO Air Systems Kentucky (ASKY). McGuire began his career with DENSO in 1986, at DENSO Manufacturing Michigan, Inc. (DMMI), and held several management roles in Facilities, Maintenance, Machine Design, Tool & Die and Radiator Manufacturing. His last role at DMMI was as vice president of Production Control and Plant Engineering, before being appointed president of DENSO Manufacturing Arkansas (DMAR) when that company was founded in 2003. He served as president of DMAR until 2010, when he was appointed president of ASMI. About DENSO Air Systems Michigan, Inc.
DENSO Air Systems Corporation, headquartered in Anjo, Aichi Prefecture, Japan, produces hoses and pipes for automotive air-conditioning systems. DENSO Air Systems Corporation employs approximately 4,000 people globally. With locations in Michigan, Kentucky and Mexico, the company employs approximately 1,455 employees in North America. DENSO Air Systems Michigan Inc., was founded in 1987 as Koyo Corporation and later became ASMI in 2009. DENSO will introduce a new management system designed to strengthen corporate governance. 1. Separate and clarify corporate responsibility among Members of the Board, Senior Executive Directors and Executive Directors. Members of the Board will be responsible for decision making and supervision, and Senior Executive Directors and Executive Directors will be responsible for business execution. 2. Introduce external Members of the Board to reflect objective suggestions and opinions from outside the company. (Guest Professor, Faculty of Business and Commerce, Keio University)? SOUTHFIELD, Mich. – Rob Hempel has been appointed to vice president of the Sales and Marketing Division for DENSO International America, Inc. (DIAM). Located at DENSO’s North American headquarters in Southfield, Mich., Hempel is responsible for directing business strategy, operational and personnel activities for the Toyota Sales group. The position was effective Jan. 2, 2014. Previously, Hempel served as director of the Chrysler Sales group where he was responsible for overseeing the group’s overall business strategy and sales activities for the North American region. Hempel first joined DIAM in 1993 as an engineer in the Engine Management Systems and Components, Fuel Delivery department. In 2000, he was appointed to sales manager of the General Motors Powertrain Sales group and, in 2004, was promoted to senior manager of the General Motors Thermal Business group. In 2006, Hempel took an assignment in Shanghai, China, aimed at developing local support for General Motors business and keeping face-to-face contact with key executives in the Asia-Pacific region. He returned to North America in 2007 and was appointed to director of Chrysler Sales. Hempel holds two degrees, including a Master of Business Administration degree from the University of Michigan in Flint, Mich., and a Bachelor of Science in Product Design Engineering Technology from Ferris State University in Big Rapids, Mich. He currently serves on the Southfield High School Marketing Advisory Board, has been a member of SAE since 1993, and also is a member of Marketing & Sales Executives of Detroit (MSED).